Testimonials | Ketamine Clinics of Los Angeles | Steven L. Mandel, M.D. The following testimonials are unique to our website. 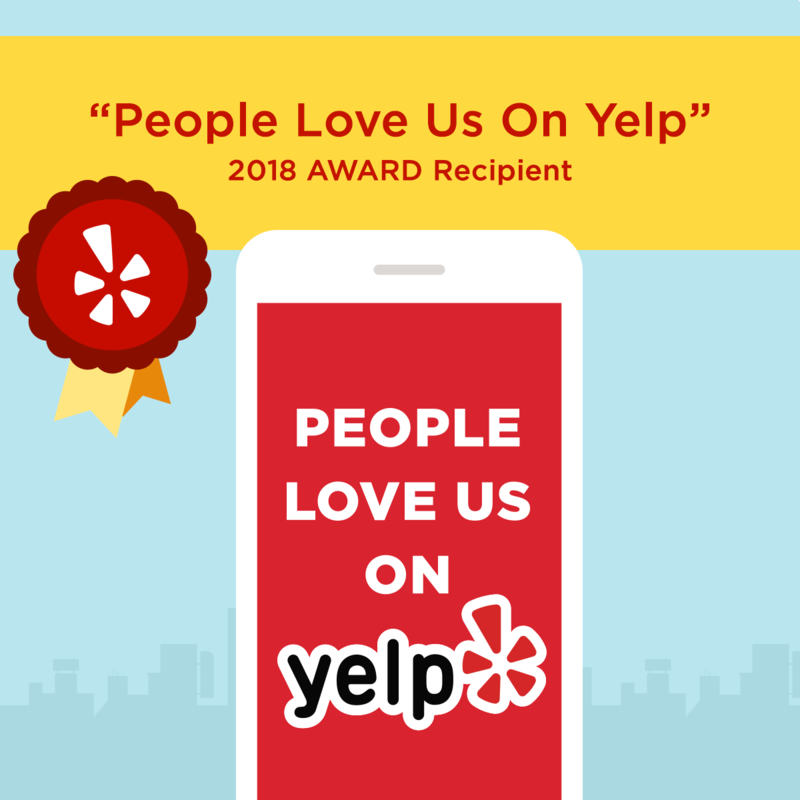 To find more reviews, visit us at the links below! “Dr. Mandel has truly made my unlivable life, livable again. My ability to get out of bed early and or nearly right as I wake up has significantly improved. I’m able to keep up with my incredibly hectic schedule. My overall mood is high and lethargy is low. My social anxiety is at an all time low, and I haven’t had a panic attack since my first infusion.” – A.T.
“Dr Mandel you truly saved my life! I can live my life content and know that there is always hope it doesn’t have to even get that bad! I know that you have changed my life forever ! For that I thank you and my family does as well! To people that are out there wondering if this can help you! I say what do you have to lose ? Things could truly only get better! There is hope!” – J.P.
“Something changed in me that made me go from, “I don’t care if I live” to “I don’t want to die” and now because of these treatments, I can share my story and let people know that life is worth living. As bad as it gets and as painful as it gets, we have a choice. We have the freedom to make that choice.” – Tom B. “I had tried and failed every other treatment out there short of psycho-surgery and One Flew Over the Cuckoo’s Nest electroshock. I had done years of psychotheraphy. dozens of anti-depresssants. Exercise, diet, and meditation. Stress reduction, self-help, and positive thinking. Some of it helped, most did nothing and few made things worse. I was tormented by panic attacks, thoughts of death and suicide, constant anxiety and worry, negative thinking, pessimism, and low energy. It was a living hell, I assure you, and I’d almost given up…. Then I tried ketamine infusion therapy. I did a single treatment at Dr. Mandel’s clinic, and it cured me. One treatment. My response might not be typical, but for me ketamine was a miracle. I don’t know what these negative reviewers are talking about. I suspect they are delusional and psychotic because of their depression. I experienced bouts of extreme negativity and delusional thinking in the depths of my own despair, and truly feel compassion for people like Illiana – but believe her story to be fabricated based on my experience with the clinic and especially with Dr Mandel. Dr. Mandel always administers the first treatment, and if you want him to do all of them, you just have to ask to be scheduled for days and times when he is at the clinic. The man is a practicing anesthesiologist, and could make a hell of a lot more money knocking people out for surgery than treating depression. He’s also in his 70s, so give him a break on the limited number of days (3 or so) per week he is in the clinic. Most Dr’s in their 70ies are retired and out golfing full time. As far as money, it was the best I ever spent, and much cheaper than say, 6 months of (ineffective) psychotherapy, and a LOT more convenient / less painful. You do not have to pay for 6 treatments upfront. You are asked to pay for the first two. This is to cover the clinic’s expenses related to intake interviews and the large number of people who (I imagine) flake out on them due to fear of the treatment, or just from depression itself. They are not trying scam anyone – quite the contrary – they are trying to offer the most effective treatment ever discovered for depression as affordably as possible given the costs associated with running a medical practice in Brentwood Los Angeles. As far as it wearing off or stopping working, that is a possibility with any drug for any illness, so that is not a legitimate reason to avoid ketamine. I wouldn’t do any more treatments than necessary to get to “normal” for that reason. Tolerance only occurs if you use too much of a drug for too long, and again, it can happen with any drug. Ketamine is powerful stuff. No way I would take it daily or even weekly after the first series. Maybe every month or two if I had too. If that didn’t work, I might try more frequent dosing if I found relief, but if it stopped working, I wouldn’t blame anyone – I’d be thankful that I’d been free of suffering for a while, would wait a few months, and give it another try. Anyway – I highly recommend this clinic and the treatment they offer. It literally saved my life, and if you are depressed, anxious, or god forbid, suicidal, you owe it to yourself and your loved ones to give this a try. “I have suffered from treatment-resistant acute chronic depression for many years, and have tried essentially all of the treatment options available other than electroconvulsive therapy and trans-cranial magnetic stimulation. My psychiatrist is widely recognized as one of the best practitioners in the nation, and truly has saved my life on more than one occasion. Unlike many of his colleagues, he spends his time with me, not just prescribing medication for me. My doctor recommended that I try Ketamine at this time because he considers that here is now enough clinical information to make an informed decision about its effectiveness and side effects, and specifically recommended Dr. Mandel, who even with a glowing recommendation from someone for whom I have tremendous respect vastly exceeded all of my expectations. Not only did Dr. Mandel exceed my expectations with his attentiveness, care, and diligent follow-up, but his staff is extraordinary. They are compassionate, knowledgeable, and well-trained. The information made available to prospective patients is thorough, well-written, informative, and easy to understand. I felt well-informed, confident in Dr. Mandel as a provider, and hopeful for a good result when I first went in for treatment. The treatment has also been hugely successful. “I would like to say Dr.Mandel and his staff turned out to be a lifesaver for me, and I was in as bad a place as it gets. I was in my longest, worst funk in 30 years. This with a wife, kids, huge house, and massive business success. I have been fighting depression off and on for years with no “magic bullet”, anti depressants worked marginally, tried numerous of them, but ketamine is the treatment for those that WANT to get better but don’t know how. And the ketamine kicked the flakes up in the air for me to objectively look at and deal with, without wanting to jump off a building. The first visit is strange, in fact I almost stopped and, but the miracle happened on number 4 and I started feeling better. “It was 2016. I was at the lowest point I had ever been in my 20 years of battling depression. I’d tried pretty much every antidepressant on the market. Although they worked for me during the first 17 years of my depression, eventually they became ineffective. At one point (in 2010) I tried Vyvanse, a drug for ADHD, and it basically wiped out the illness completely. Unfortunately, it only lasted for about 2 1/2 years and then, like antidepressants, my body got used to it and it became ineffective. So in late 2015 / early 2016, I went on disability for depression. I was unable to do normal things like running errands, socializing…I slept a majority of the time. Finally, a good friend of mine sent me a Washington Post article about the use of Ketamine for the treatment of depression. I researched everything I could about it for a good year before I decided to go for the treatment myself. I was very hesitant, mainly due to the cost of the infusions, but I was out of options. Luckily my family offered to help with the financial part of things and I began my infusions in late February 2017. I began to feel better after my first treatment and my mood continued to improve as I completed the entire course of 6. When I first started, I was at about a 2 (on a scale from 1-10, 1 being the most depressed and 10 being depression free). But the time I was done with all 6 infusions, I was at about a 7. I felt pretty good in the following weeks since but recently started feeling a drop. The past couple days have been pretty low (feeling about a 3 or 4). I was told that the effects of the initial 6-course treatment typically last about 3 months, however, I may be an exception. I know there are some options after treatment, including the use of prescription Ketamine lozenges to keep the glutamate levels up and booster infusions. I plan to contact Dr. Mandel to see what I can do. But in any case, the treatment definitely helped me, at least in the short term. I’ll be sure to update this post regarding my progress. “All of the staff were very helpful and communicative. They called me after I filled out a depression assessment on the website and were very clear on everything that was involved and what I needed to do. They took me in and started setting up right on time for every one of my appointments. I was always speaking with the doctor inside of 10 minutes. As unusual as the ketamine experience is, I knew that I was always well monitored and that any issues would be dealt with swiftly. The one time I felt bad anxiety, Dr. Mandel immediately provided medication to get me through it. He was also forthcoming with multiple kinds of medication to deal with the nausea that I’m prone to. “I suffered severe depression and racing thoughts for many years, since childhood. I saw well-known psychiatrists, went to therapists, used a plethora of prescription drugs, and had exhausted the other treatments/procedures that were available. My condition was resistant to everything. I was out of options. My psychiatrist then suggested that I may want to give something called ketamine a shot. I was told there was nothing to lose, but, frankly, I didn’t care if there was, because I was out of options, and I really needed something, anything. When I called Dr. Mandel’s office, I was immediately treated with kindness and compassion by a very helpful and knowledgeable staff – his staff and nurses are great. I even spoke with Dr. Mandel himself the day I called, which really surprised me (to this day, he is very responsive and available). I was able to schedule an initial set of treatments right away. Although hopeful, I was EXTREMELY pessimistic – nothing worked in the past, so why would this work? But, I was at the point of not being able to function day to day, whether in my occupation as a white-collar professional, or with my family. The first treatment put me into a place I have never been. During the infusion, I actually experienced happiness, albeit for a relatively brief moment, but I had not experienced happiness since I could remember. I continued the treatments, and the results were incredible. Although I was not fully cured of all of my issues, and still take prescription drugs, I came a LONG, LONG way. I was taken from a really bad place, where I was struggling to function day to day, to a place where I was more functional than ever (including more energy for physical activity), and able to experience joy from time to time, which was once unfathomable to me. I became so much less depressed, and, my racing thoughts were mostly gone. The ketamine is the only treatment that has ever given me real relief, and the relief is significant. “I’ve had six infusions; they changed my mood/life greatly. Prior to my first infusion I was ready to hang myself. For several years I had been on SSRI’s and mood stabilizers which didn’t help (or barely helped). My mood had become so low such that, this past summer, I gave away (or threw out) 90% of my personal possessions in ‘preparation’ to check out. I now feel like my former self and suicide is the last thing on my mind. The cost of the infusions is a penny considering that my suicidal-level depression is gone. I’m a 52 yo woman and have been depressed for more than 30 years. I have tried every possible combination of medications, have been in therapy for 25 years, and while this has been extremely helpful and has certainly kept me alive, it didn’t make being alive anything other than bearable at best. I went to Ketamine Clinics out of desperation: two years in the slough of despond, and I was close to sinking. It was truly a miracle. After my first infusion, I simply wasn’t depressed any more. It was as if a heavy, grey, clinging pall of awfulness had been removed from my mind. I now feel “normal,” and it’s such a relief and blessing to be free of that terrible existential dread and despair. It’s been more than four months now, and though I wouldn’t say I get out of bed with a spring in my step — all my old problems (and they are many and major) are still there and they still make me sad and worried — I am Still Not Depressed. Dr. Mandel and the nursing staff are incredible. Kind, compassionate, completely competent and professional. More than that, they seemed to take a personal interest in me and my situation. Having the infusions is a rather weird experience, but I always felt completely safe and was confident that if anything *too* weird started happening, I would get effective attention and help immediately. I have had no side-effects (beyond a bit of memory lag, which is resolving) and, as I said, I have been depression-free for almost 5 months. This is a record for me. “I have struggled for months at a time with depression in my life. After trying several different types of anti-depression medications over the years, with no helpful solutions. I read about the significant benefits and results that can be had with ketamine infusions. Starting out skeptical, I researched and explored the idea of an infusion. Hesitant at first, it took my partner and closest friend to convince me to try it. Preparing for another disappointment, I headed in for my first treatment. and His staff. It is Comforting to know I can count on a treatment that Helps and I Hope others can achieve the Benefits and Instant Relief that this treatment can Deliver. Looking forward to more research and Advancement of this treatment.Maybe Providing a Credible anser to Solving this Horrible condition that so many face. “Dr, Steven Mandel is a fabulous physician and person. He is a very talented anesthesiologist who is careful with and caring of his patients. He is detailed oriented and ever vigilant. I am a physician and am very careful who I send those I care most about to for care. Dr. Mandel has taken care of my family and I recommend him without reservation. He represents best care in medical practice!